For businesses whose target clients belong to the age group 18-34, they should be where their audiences are. And that’s on Instagram! Especially if you are a business that can produce a lot of original visual content, then you are a total fit for this social media platform Instagram. A few of the most common content you’ll see on Instagram are food shots, travel photos, 60-second clip videos of travels or valuable tips from coaches, and inspirational quotes. If you are already on Instagram but feel like you are still missing from a number of things, here what you can do to optimize your profile. Converting to a business profile – If you have just created a new account, you need to make sure that it’s been converted to a business profile. This allows you to access the analytics data of your account. Business Name and username – The business name is the one seen below your photo when people go to your profile. Make sure that this is either your brand name or a name that best describes what your business is. The username or the handle what people see when they saw your posts on their feed. It should be consistent with the other usernames you have on other social media platforms. Informative and actionable bio – On your bio, you are only allowed to use 150 characters. Make sure what you write is concise yet clear on what you want your visitors to do. Is it to check out the web page you added to your profile or is it for them to send you a DM? End your bio with a call to action you want. 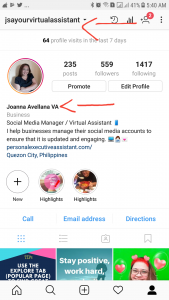 Hashtags in bio – If you also have branded hashtags or favorite hashtags that are related to your brand, you can also insert them in the bio description to make your profile more searchable. Trackable web URL – The keyword here is trackable. When adding your website URL or landing page URL, make sure that you are able to track it. Some tools you can use to convert a regular URL to a trackable one is Bitly or Google URL Shortener. Highlights – This is one of the new features available on the platform. It lets you create a compilation like an album of your stories event when 24 hours has already passed. Now, go check your Instagram profile and see if you have all 6 in place. 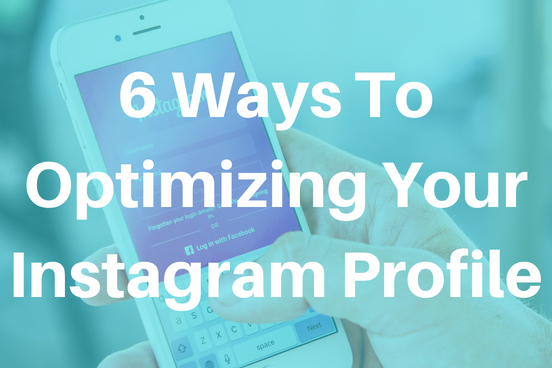 Optimizing your Instagram profile can be done in a breeze if you have a lot of time in your hands. If you think you need some help doing this, feel free to send me a quick message anytime.